When I was a little girl--maybe three or four years old--my mother and I would go for long walks in our neighborhood, picking up special objects along the way. In retrospect, much of what I picked up could probably have been considered garbage (a broken ceramic horse hoof, an antique bottle cap, an especially colorful leaf), but to me, they were precious. We likely only covered a few blocks at a time, but the walks felt like they lasted for hours, probably because I insisted on scanning every foot of sidewalk as I inched along and she patiently and lovingly helped me collect my treasures. Today, long walks (and runs) remain an important part of my day. And, while I can now cover more than a few blocks without stopping to examine every trinket I encounter, anyone who's walked with me can tell you that I am still easily distracted by things in my path. I stop to prop up knocked-over garbage cans, pick up pennies (I try to make sure they are heads-up) and even occasionally slip interesting-looking rocks into my pocket. A walk on the beach with me is basically akin to accompanying me on an archaeological dig, and when I run, I have to constantly remind myself to ignore the shiny objects and abandoned books in my peripheral vision, in the name of cardiovascular health. In a general sense, I spend a lot of time examining little things: an awkward exchange, an unclear text message, a forgotten detail, etc. I'll think, wonder and write about them until they begin to make sense to me, assigning them real meaning. The trouble I've found with this, however, is that, while, often there is significance to be found in life's little things, they are, in fact, little. They might serve as tiny pieces of a bigger puzzle, but they alone cannot be pressed together to make a clear picture. 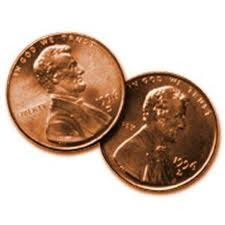 Like the pennies I still insist on picking up, they have value, but not very much. I suspect that the key is developing a refined ability to discern between treasure and trash--to be able to pick something up and have a sense of whether I should hold onto it or leave it where I found it. The route to such clarity is something I'm less sure of. For now though, it's all the more reason to keep going on walks.